For more than three decades, our injury law firm has worked hard to earn its reputation as a trustworthy, competent force in the legal community. We have the networks, skills, track record, and experience to maximize case value. We invite attorneys to contact us with potential referrals for personal injury cases in St. Louis. We believe the referral fee percentage should be flexible and based on the unique facts of each case, because some cases are worth more than others. Our St. Louis lawyers accept referrals from other attorneys on all types of personal injury cases including but not limited to automobile accidents, slip and falls, work injuries, wrongful death claims and more. We maximize the case value of all settlements, take great pride in the results we achieve, and highly value referrals. If you want to talk about a case referrals, please do not hesitate to contact us. Below please find a list of attorney resources, provided for your convenience. We are no way partnered with these firms and thus are not responsible for their websites or legal services. 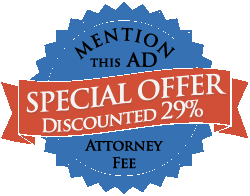 We advise you to utilize your own best judgment when selecting an attorney to represent you.